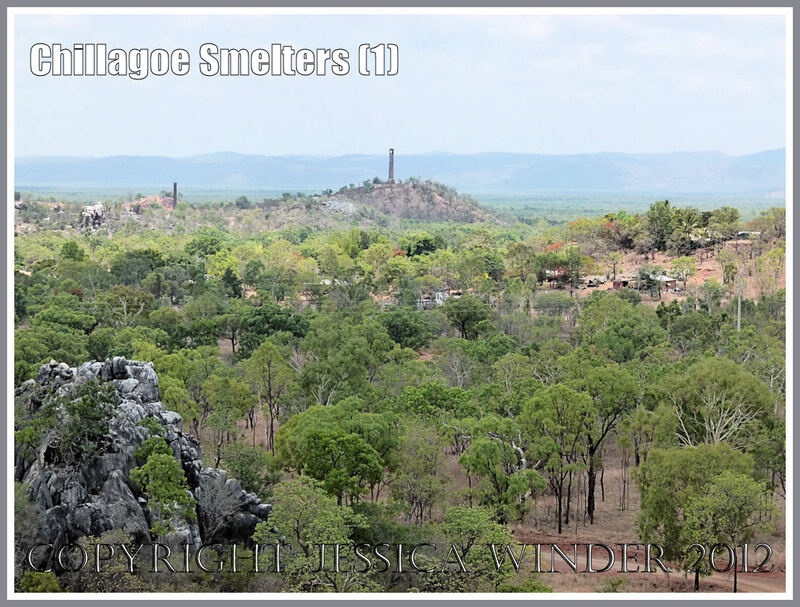 From the top of the cave-filled crags, and for miles around, the chimneys of the old Chillagoe Smelters are well-known landmarks…. 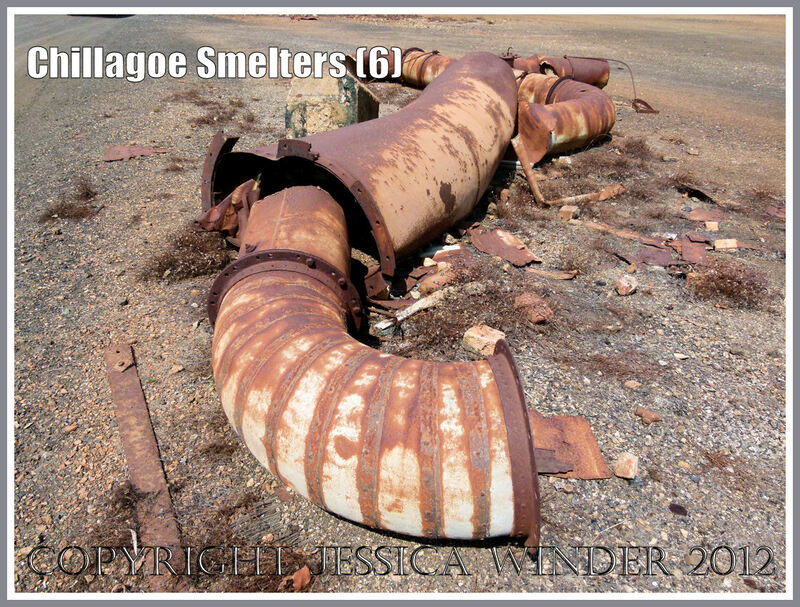 but the story of the Chillagoe Smelters is a bit of a chequered one. Almost from day one there were difficulties in running it cost-effectively. On the positive side, the construction of the smelters in 1901, following the extension of the railway from Mareeba to Chillagoe in the late 1890’s, enabled the retrieval of valuable metals from ores mined in the mineral-rich rocks of the region. 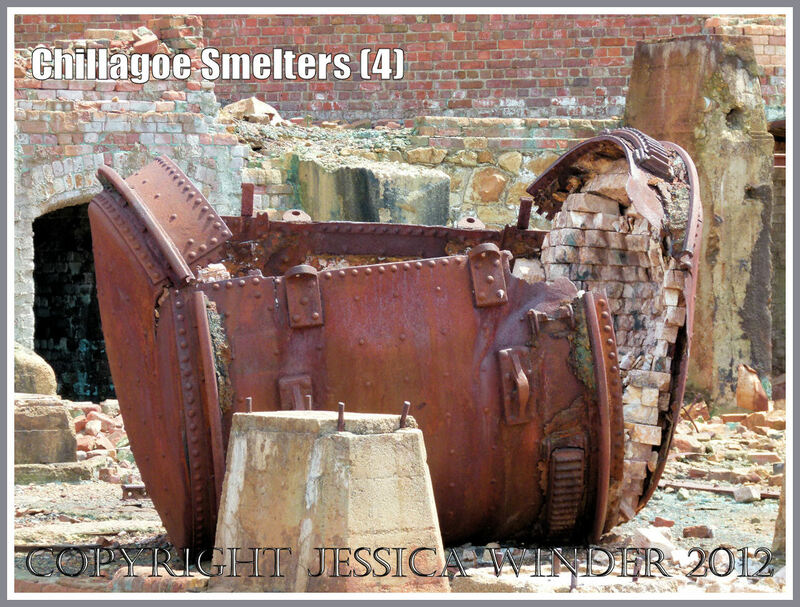 From the opening of the smelters to their closure in 1943, the smelters treated 1.25 million tonnes of ore, yielded 60,000 tonnes of copper, 50,000 tonnes of lead, 181 tonnes of silver, and 5 tonnes of gold, and provided significant employment opportunities. 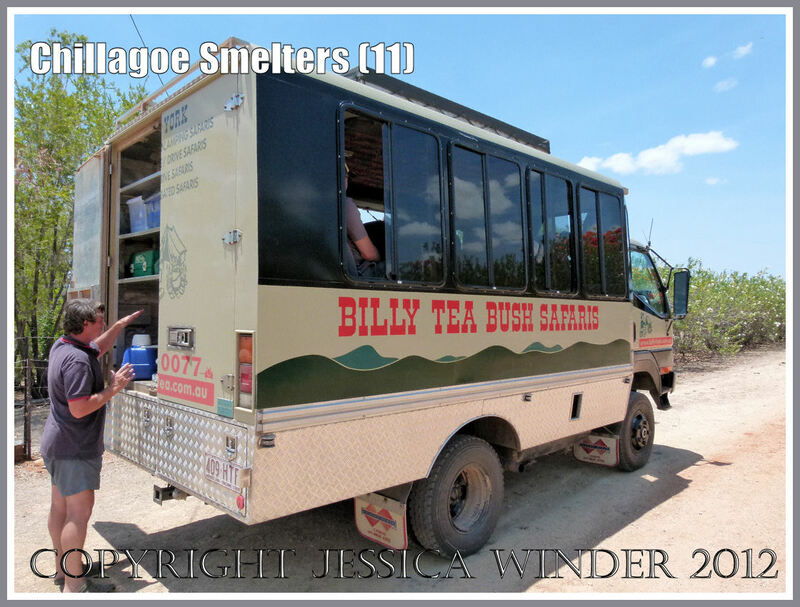 However, there were many ups and downs to this local industry – some with political ramifications. The over-riding problem would seem to have been insufficient ore production from the mines to economically justify the great expenditure of running the smelters. They ran at a loss for much of the time despite repeated investments in new, innovative, and theoretically more efficient, technologies. 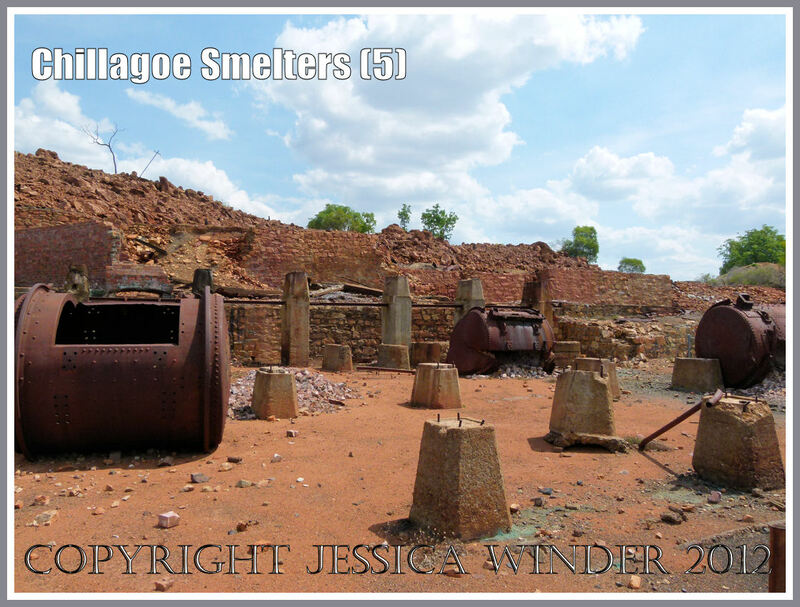 By 1943, the Chillagoe smelters became virtually redundant because other smelters had been built closer to major ore-producing locations and could be more productive. 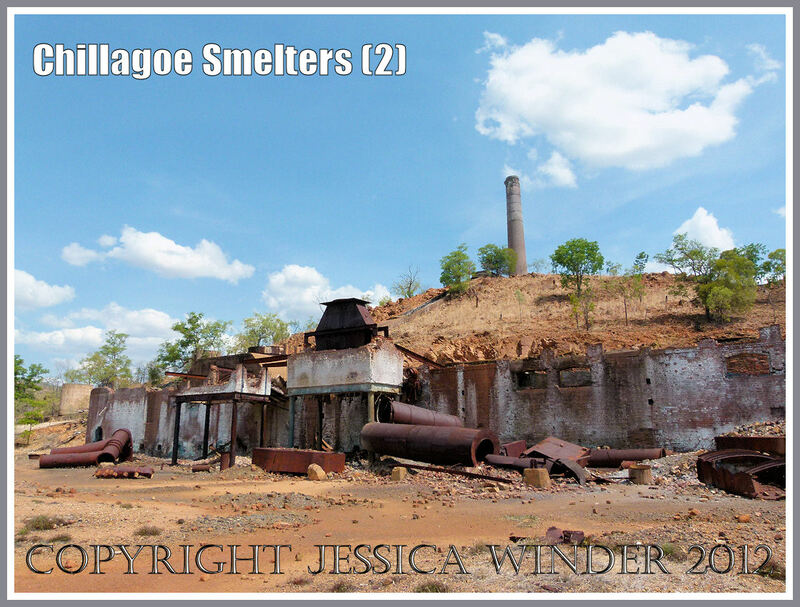 At the very end, the Chillagoe smelters were kept open by the Queensland Government despite the losses because running the smelters was such an important part of the local economy. I suppose the ruins of the smelters come into the category of industrial history, maybe industrial archaeology although the remains are mainly above ground. Following the shutdown of the facility, a lot of materials were salvaged and sold. Fortunately, the stonework, brickwork, and rusty metal structures remaining on the site still enable present-day visitors to understand the processes carried out so long ago, some of which were cutting edge at the time – procedures that for a short period in history promoted the exploitation of the mineral wealth and the development of the Chillagoe region. 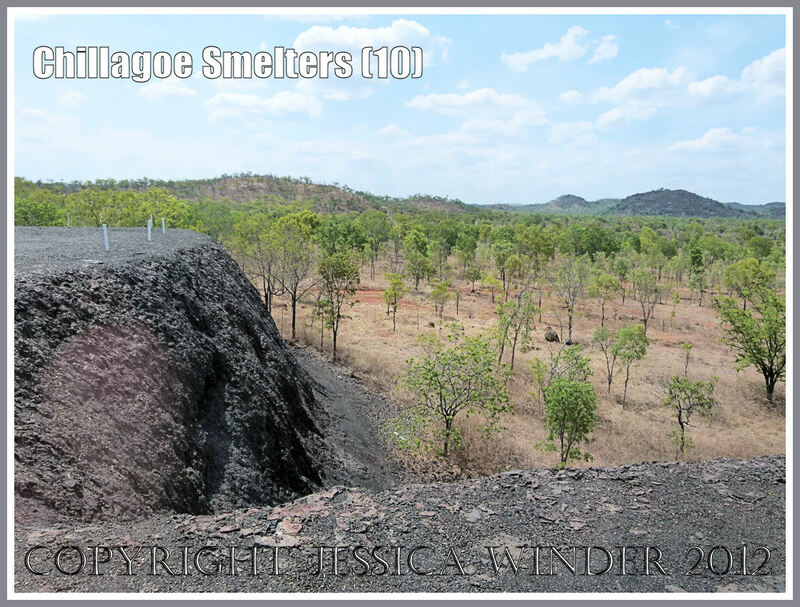 The photograph above shows part of the Chillagoe Smelters site with the main smelter chimney at the top of the hill. 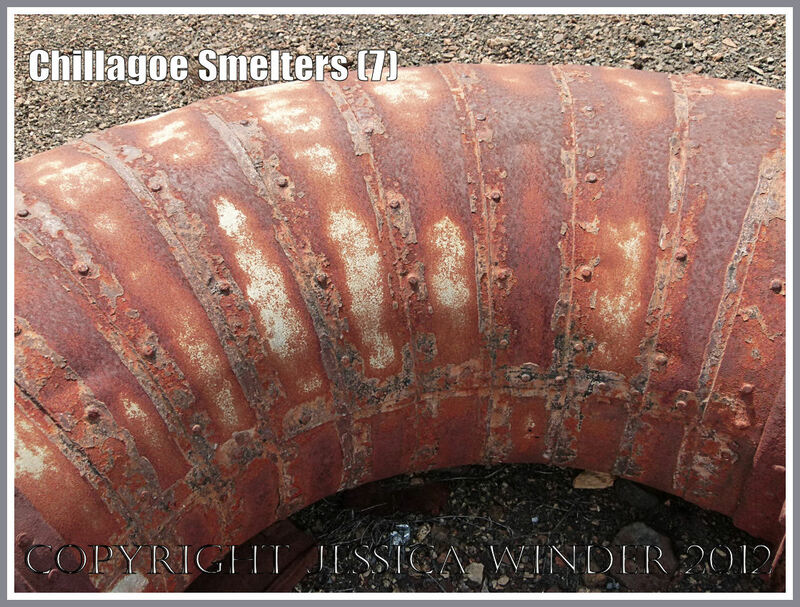 This was connected by brick flues to the back of the blast furnaces and carried away most of the fumes. The remains of two blast furnaces are visible at the base of the hill with the double-walled iron liner still in place in one of them. To the right are the massive rusty iron tubes of the ‘goose-neck’ flue that was originally positioned above the steel hood of the right-hand blast furnace to dissipate yet more fumes. On the ground to the left of the furnaces are large-diameter branching pipes that were part of a ducting system conducting air to the furnaces. 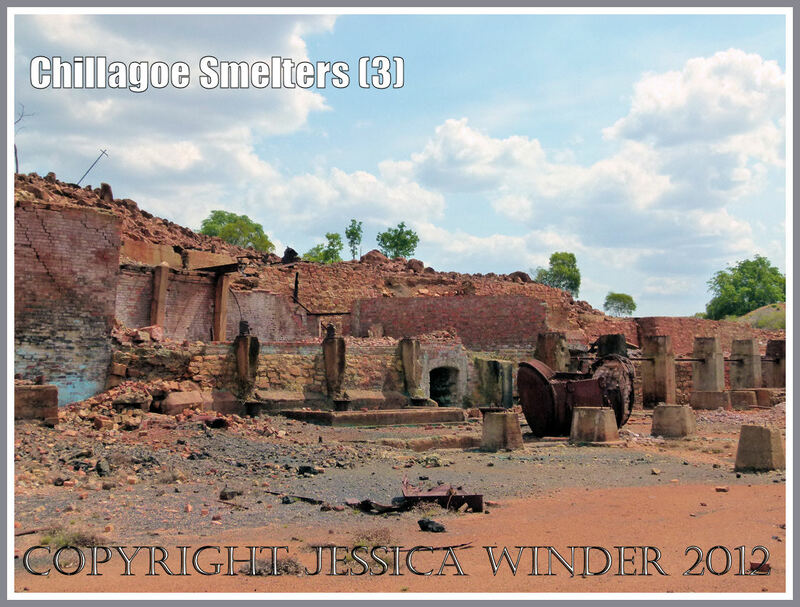 Part of the Chillagoe Smelter ruins showing one of several rusty converters and behind it walled bins for storing ore and coke for the blast furnaces. Pictured above is one of the open-topped brick-lined converters into which the molten matte copper from the blast furnace would have been transferred by means of a large crucible suspended from an overhead crane. More rusty converters lying on the ground but originally mounted close to the wall behind near to tunnels. These tunnels allowed copper moulds supported on small rail trolleys to be positioned in such a way that the molten copper from the full converters could be poured into the moulds in one continuous flow. It is likely that only two converters would have been in use at any one time, while the others were being re-lined. 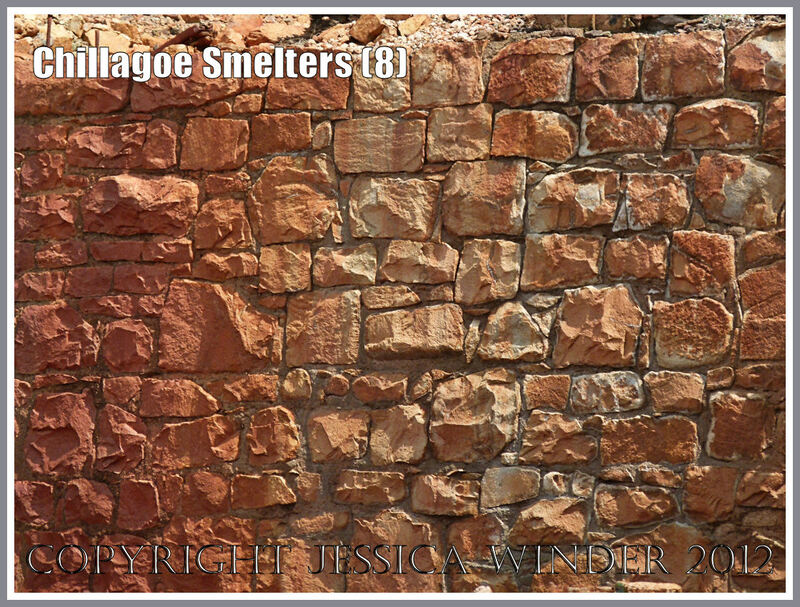 Below are some random images of the rusty metal objects, rusty stone walls, and rusty rocks around the site. And finally, the waste molten slag from the ore processing was taken by horse-drawn trolleys on rail lines across the site to be dumped in one enormous heap. The rail lines would have been extended further and further out as the solidified heap continually grew from the tipping of millions of tonnes of waste from the rotating trolleys. The picture below shows the slag heap as viewed from the vehicle. It wasn’t possible to get out for a closer view because the heap is potentially contaminated with lots of heavy metals and minerals. Chillagoe-Mungana Caves National Park Guide, Queensland Parks and Wildlife Service, Department of Environment and Resource Management, State of Queensland, BP1794 June 2011. 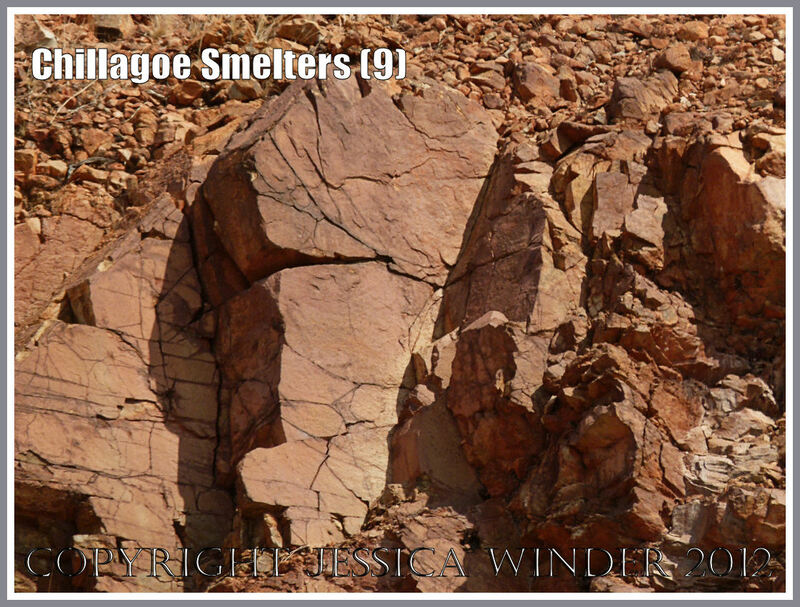 A journey through stone – The Chillagoe Story – the extraordinary history and geology of one of the richest mineral deposits in the world, Ian Plimer, 1997, published by Reed, Australia, ISBN 0 7301 0499 0.